This is one of the most frequent questions I get asked, every time I put a menu down. In my own style I describe it as a starchy banana and get on with the food order. It is about time that I offer a public apology to those lovely customers, followers and friends for being so patronising, but that was not my intention! Now your inquisitive minds have encouraged me to research and learn. 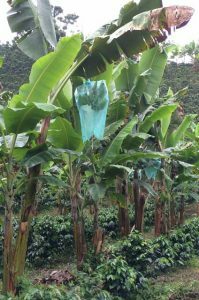 Being born and brought up in the coffee region of Colombia, plantains played a big part on our cuisine, but I didn’t know much about their origins, so keep asking questions! 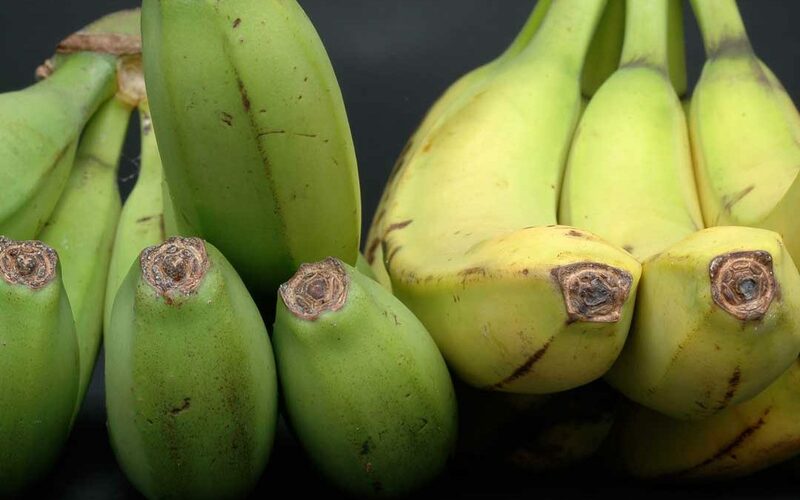 The green plantain used in Latin American and Caribbean cookery is a close relative of the desert banana (both are from the genus Musa) and not in any way related to the common weed of British lawns (which is also edible – but that’s another story). Plantains originated in the Far East, in particular New Guinea and travelled to Africa (where they were first grown several thousand years ago) becoming a staple part of the diet on both continents where a tropical or a sub-tropical climate allowed them to flourish and form plants three to ten metres high. During the 15th and 16th centuries, the mighty plantain migrated further to the new colonies in South America for the slaves as an inexpensive, nutritious food to produce. In the 1620’s, it was recorded that more than 30,000 to 40,000 plantains were imported annually to Cartagena, where the resident slave population consumed plantains along with a supplementary diet of beans, cassava, yams, and corn, all staples of today’s Latin kitchens. Known for its fertile land and coastal plains, Cuba became the transit point for Spanish expeditions in the New World, providing ideal tropical climate conditions for plantain and banana cultivation. Introduced into the United States in 1804, plantains and bananas quickly claimed spots on the fruit stand, and regular trade developed around harvests. By the late 19th century, the importation of bananas and plantains continued to increase at a steady rate, and just before the turn of the century, a significant industry emerged. 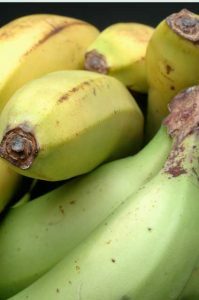 In the United States both plantains and bananas became less expensive, more familiar, and more widely available following the migration north of Latinos. 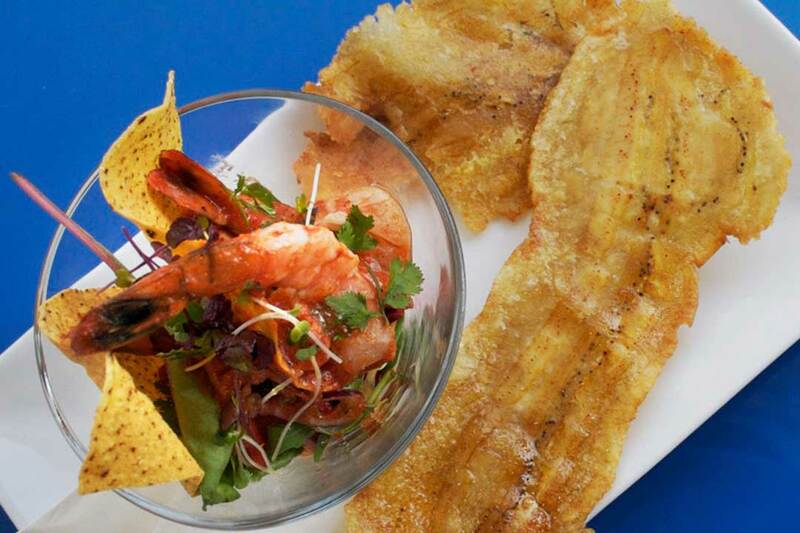 They settled in areas along the southern East Coast because work was available and the region offered tropical climes, ideal for the planting of their native ingredients and thus the plantain became an integrated part of U.S. food history. But enough for now; let’s get cooking!